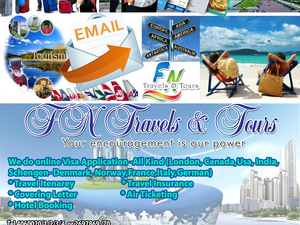 WELCOME TO FN TRAVELS &TOURESOutbound tours could be organized through our Holidays division, reputed Tour Operators overseas. These customized leisure packages include air tickets / accommodation / transfers.The Holidays division also caters to all your special interest – tours and meetings, incentives, conferences and exhibitions.We handle hotel reservations in Asia, Europe, Africa or the Americas, through our carefully selected overseas hotel partners. We also specialize in scenic train tours in India, China, Japan, Egypt and Malaysia.